Legendary. There’s really no other way to describe it. Mustee’s line of rugged duty utilatub and utility laundry/utility tubs are legendary for quality, performance and features. Wherever you spot a laundry/utility tub - in homes, commercial Buildings, health-care facilities, schools, churches or cafeterias - odds are the nameplate on it says Mustee. 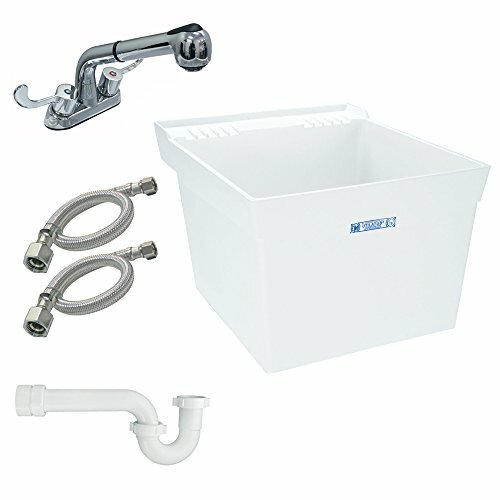 Mustee quality, features and performance have always set our utilatub and utility laundry/utility tubs apart from the rest - no wonder why Mustee is the brand that is “preferred by the pros” and millions of homeowners alike. Features extra packaging.